690 Field I : Dedicated to the most distinguished hunters in the field. A state of the art ballistics, with Steelium OCHP barrel, meets an elegant and unique design, embellished by the finest engraving and woods. Steelium OptimaBore HP Barrels Every Beretta over and under shotgun is unique to its owner, but there’s something that makes it even more special: the quality of its Steelium barrels. Owning a shotgun with the unrivaled Steelium ballistics means being able to get the best of precision and durability, without any compromise. 690 receiver with floral engraving Together with the slim profile, which made the Beretta over and under famous worldwide, the receiver of the 690 Field I features a double-fenced top and a wonderful floral engraving. Distinguish yourself will be easy with 690 Field I. High-quality wood. 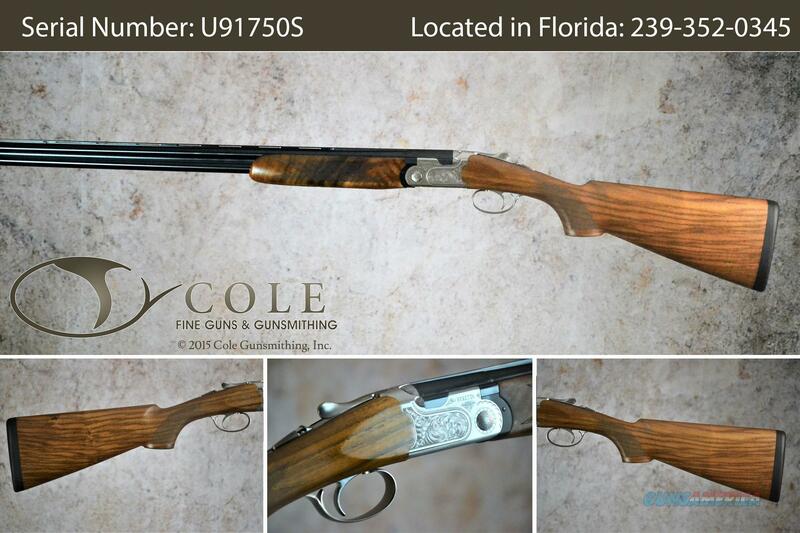 690 Field I features the best wood in its category, giving an extraordinary look. Every stock is carefully crafted, oil finished and checked by the master Beretta stockmakers to meet the highest quality standards. Micro Core Recoil Pad is an innovative recoil pad developed by Beretta that expands gradually and instantly, increasing its surface area on the shoulder and giving the shotgun secure and precise support.